This is the Zingo Espresso brought to you by Topeca Coffee Roasters. This is an espresso blend of coffees from Brazil, El Salvador, Ethiopia and Sumatra. In the cup, this espresso is chocolatey, sweet, and just a little fruity. Fruity is right! And not just a little, in my experience. It was fruity right out of the grinder. Dark chocolate, and brown sugar brought more body into my latte. One of my favorites that will be added back to the queue. Definitely chocolatey and a bit juicy/tangy on the finish. Great as an espresso base! Not great. Couldn't get a lot of flavor from these shots. A bit boring. I had greater expectations for this one, since it's gotten a ton of great reviews. This one is just not in my taste profile. All three notes come out super strong when shot was pulled with my espresso machine. Would definitely order again. Really liked the prominent berry flavors. Dark chocolate flavor with a bit of fruity notes brewed in French press for a pleasant medium roast cup of coffee. I think the tasting notes got it right and in that order. I didn't find it overly sweet, it's smooth and enjoyable. Excellent coffee. A little citrus at the end. So far one of our very favorite coffees. For some reason, we did not like this espresso near as much as the Onyx Ozark Copper you first sent us. It tasted bitter and required a flavoring added to the latte. When we make lattes, we'd like to do a flat white. I'm only rating it two stars because you are trying to help us find the right coffee for us! Thank you for your help! 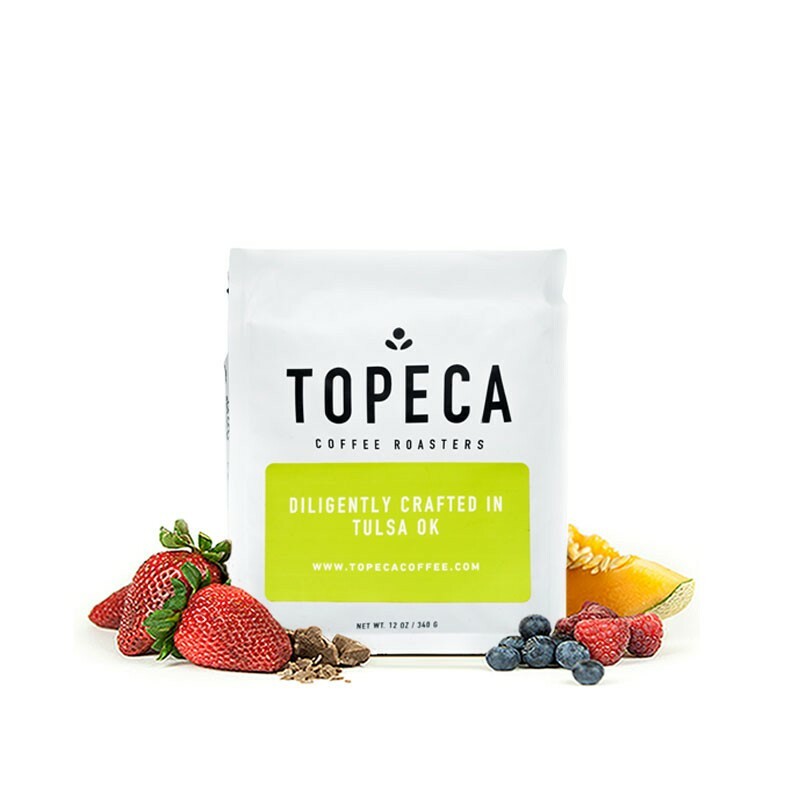 This is a delicious espresso, with aromas of buttery pastries, chocolate, and fruity berries. The first few times I ran it through the espresso machine I picked up on buttery blueberry muffins, which was very strong and welcome. I have not been able to get that flavor since, but overall a really unique bean, highly recommend. VERY smooth. Simple in taste profile, but super enjoyable. The caffeine content was just right for me, too... not super intense. I got a few good shots out of this one. Mostly picked up chocolate and nuts, but there was a hint of blackberry. This one was a bit hard because there were random shots that would choke my machine, or need a finer grind. I had to keep adjusting the grind/ tamp which doesn't usually happen. It was also easy for me to make these on the bitter side- that's a personal issue, have to work on fine tuning that for this coffee. Not bad overall. Not a fan of blends, as I thought I specified in my preferences. I also usually favor lighter coffees. This makes a killer pour over. Chocolatey and really smooth. One of my favorite deliveries ever! Wasn't impressed with this espresso blend. Pretty good espresso. Also good as a drip. The berry is very prevelent. Maybe I just caught the beans on a good day, but this is a complex blend and it packs a punch. Four different coffees from four different regions (using four different processes!) 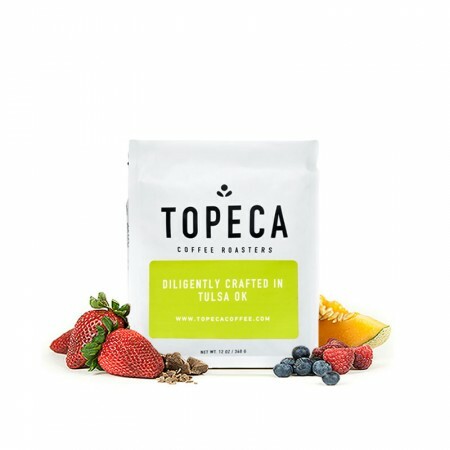 are combined, and somehow the folks at Topeca made a coherent coffee out of it. It's tough to pick out all the nuances, but I was impressed enough by the first shot out of the Breville to give this one five stars. Strongly recommended. Love this one. It is like a fine wine it is so good. Makes a consistently excellent espresso.